I covered the ribbon cutting for the Gourmet House for my writing job at the Senior News & Times. Always a sucker for a great Hibachi grill, I enjoyed the antics of Chef Twenty as he demonstrated his abilities for a quick photo op. 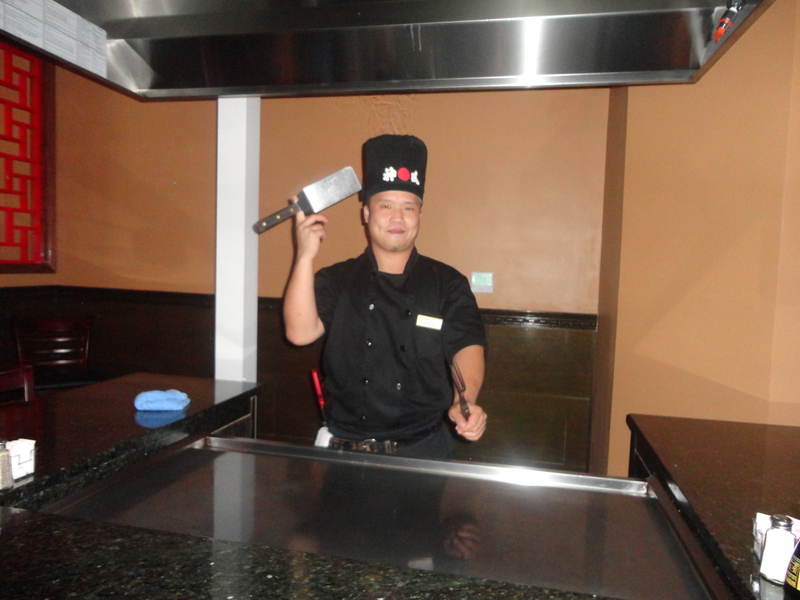 The restaurant serves a variety of Hibachi, Chinese, Thai and Japanese food. The dining room offers a sushi bar, and they have three Hibachi grills and a fully stocked bar. I came back for lunch today with Keith’s cousin Sis and we enjoyed some Thai fare. The atmosphere was quite lovely and conducive to a nice visit. Whether wanting to take a group and go out for a rowdy Hibachi grill experience or enjoy a quiet romantic dinner, the options are there and in an easy to get to part of Springfield. If tired of traveling to the west side of town where great restaurants are, but the traffic is heavy, come to a quieter side of town and give the Gourmet House a try! Located at 3165 South Dirksen Parkway Springfield, IL for more information about Gourmet House, call (217) 670-2603 or log onto their website at http://www.gourmethouseil.com/.